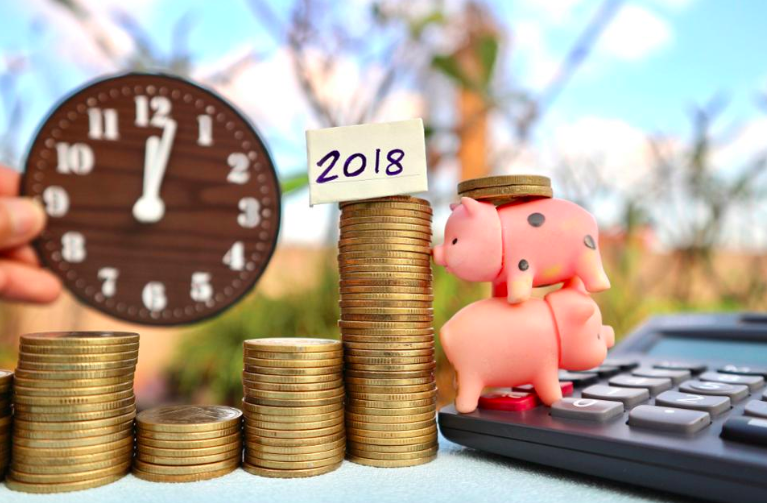 Being one of the most popular areas to invest in the world, thanks to it’s burgeoning real estate market, there are quite a few people who buy properties in Dubai with the intention to let it out. 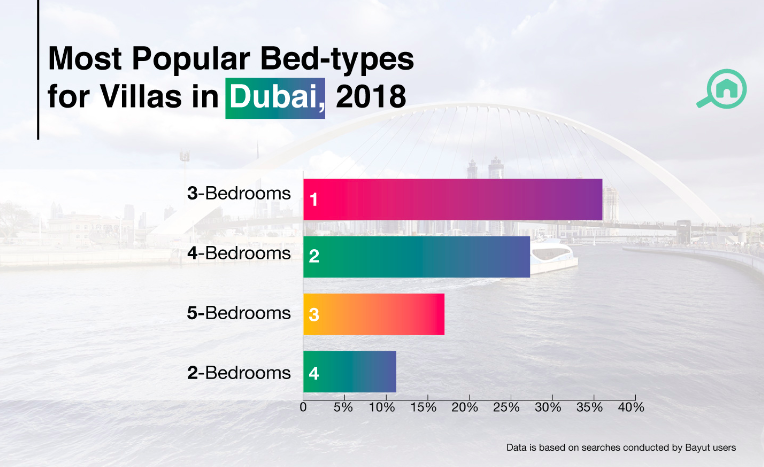 We approached our data team at Bayut to bring you the most popular bed types in Dubai for both apartment and villa rentals so you can get the best ROI on your buy-to-let property investments in the emirate. 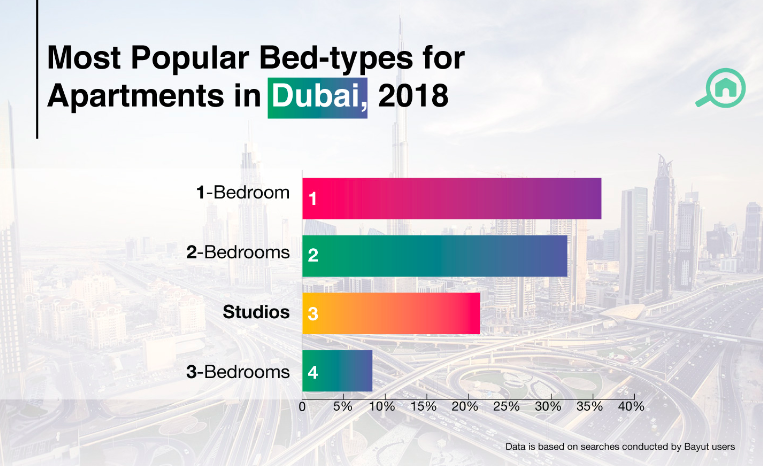 When it comes to renting apartments, the most popular bed types in Dubai, based on data from the last six months are 1-bedroom apartments. Those looking to invest in buy-to-let properties would get the best ROI in Dubai for 1-bedroom apartments. It’s easy to see why this would be the case since the city has a large population of working professionals and young couples who would enjoy the privacy of a 1 BHK unit. The fact that prices have lowered across the Dubai Real Estate market in the first half of 2018, could also be a reason why people are choosing larger 1 and 2-bed units as opposed to smaller studios. The next popular bed types in Dubai for apartment rentals, in order of popularity, are 2-bedrooms, studios and 3-bedroom units. The most popular area for renting 1-bedroom apartments in Dubai is Business Bay, known for it’s towering skyscrapers and abundance of office buildings. It’s proximity to key professional hubs including Downtown Dubai and DIFC is perhaps what makes this locality so popular. The average price of renting 1 bedroom apartments in Business Bay is AED 80k, and the average sales price for a 1-bedroom unit here is AED 1.15M, which means it’s one of the areas which will give you the best ROI in Dubai. If you are thinking of investing in Business Bay, be sure to check out the pros and cons of living in Business Bay. The next most popular area for 1 BHK rentals is the neighbouring Downtown Dubai followed by perennial favourite Dubai Marina, whose waterfront properties are close to Dubai Media City, Dubai Internet City and the JLT free zone. When it comes to 2 bedroom flat for rent in Dubai, Al Barsha and Bur Dubai are the preferred options. Both areas are close to schools, malls and hospitals making it perfect for family living. These areas, however, are not very popular with expats investing in properties in Dubai. For those looking to invest in Dubai real estate, the 2 bedroom apartments in Dubai Hills Estate would be a good bet, because of their proximity to schools, hospitals and even professional hubs. The most popular area for renting studios in Dubai is predictably the budget-friendly district of Deira. For expats looking to invest in buy-to-let properties, the other popular areas for studio rentals are Discovery Gardens and International City. Both areas are known for their community amenities on a budget and are routinely featured in the list of most popular areas to rent flats in Dubai. The average price for buying 2 bedroom apartments in International City is a very modest AED 775k, making it one f the best areas to invest in Dubai. When it comes to the villa rentals the most popular bed types in Dubai are 3-bedroom units. Since a lot of families would prefer upgrading from a 2-bedroom apartment to a larger, more private 3-bedroom villa, it’s evident that 3-bedroom houses would be a popular choice. For those of you looking at investing in Dubai for buy-to-let properties, 3-bedroom villas will get you the maximum ROI. If you are investing in villas to let, the 3 bedroom villas in Akoya Oxygen, Arabian Ranches, Jumeirah and Jumeirah Park are great areas to invest in Dubai. Although Mirdif is also extremely popular for 3-bedroom houses, there are not too many freehold projects that investors can look into in the area. Current listings on Bayut for purchasing houses in Akoya Oxygen start as low as AED 800k. Average prices for buying 3 bedroom villas in Arabian Ranches and Jumeirah Park are AED 3M and AED 3.5M respectively. The next most popular bed-type for renting villas in Dubai are 4-bedroom units. For locals and GCC nationals looking at investing in Dubai real estate with the intent of renting it out, purchasing 4-bedroom villas in Al Barsha would be a good option. There are also a few communities in Al Barsha where expats can also invest, including the villas in Lantana. Expats would also do well to look at the villas for sale in Dubailand, Palm Jumeirah and Umm Suqeim. The 4-bedroom units in Dubailand average at AED 2.35M. For 5 bedroom villa rentals in Dubai, The Meadows and The Villa take the top spot making it ideal for those looking to invest in larger units. The average price for 5-bedroom houses in The Meadows is AED 5.35M and for The Villa it is AED 4M. The time is certainly perfect for investing in properties in Dubai with prices on average falling across the emirate. With the Expo 2020 coming closer, Dubai will see a growing number of expats, which means that the rental market is continuing to grow in demand. Make the most of this opportunity and invest to let in these popular areas in Dubai.